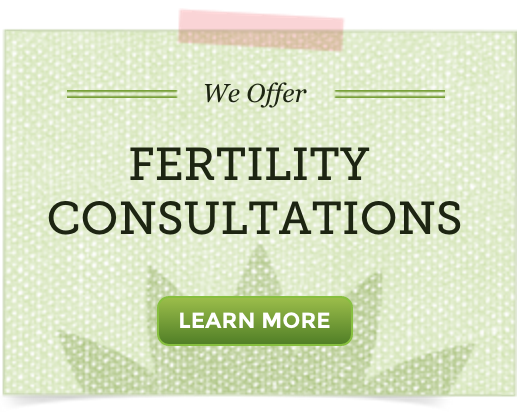 As an herbalist, I want to empower and educate you as you navigate your fertility journey. Thyroid problems come up over and over again in my consultations with clients seeking to improve their fertility. Thyroid problems are at epidemic levels, especially among women! Thyroid disorders are estimated to affect 20 million Americans, and they clearly impact reproductive health. While numerous factors influence thyroid health, a new body of evidence suggests exposure to fluoride is a risk factor for many people today. For women, hypothyroidism or low thyroid activity is associated with increased risk of miscarriage, and reduced FSH (follicle stimulating hormone) and LH (luteinizing hormone) levels- both needed for egg follicle maturation. For men, hypothyroidism is linked to reduced sperm volume and motility, and sperm defects. 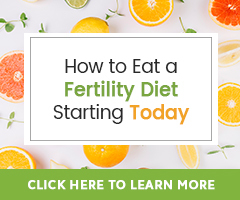 While there is less research on the topic, high thyroid levels are also associated with fertility issues like higher than normal testosterone and gonadotropin hormones, which may damage sperm. Natural therapies play an important role in supporting healthy thyroid activity and, in turn, fertility. A good place to start is to avoid exposure to thyroid disrupters. The fluoride present in toothpaste, municipal water supplies, and non-organic foods (through the use of fluoride containing pesticides) is disruptive to healthy thyroid function, and is especially concerning. All forms of fluoride have the potential to be poisonous. The most toxic form is hydrofluosilicic acid, a by-product of the phosphate fertilizer industry. This is the substance added to fluoridate water. Yet, sodium fluoride (added to toothpaste) and even natural calcium fluoride are problematic at high doses. Fluoride use has been controversial for decades. Yet, fluoride is still included in almost all toothpastes and added to up to 67% of U.S. public drinking water for its debatable role in fighting tooth decay. In 2015, the U.S. government lowered the recommended amount of fluoride added to drinking water for the first time in 50 years due to overexposure in our population. How Does Fluoride Affect the Thyroid? By displacing critical iodine, fluoride disrupts thyroid function and can lead to reduced thyroid activity. In fact, fluoride is such an effective anti-thyroid agent that it was prescribed through the 1950s in Europe and South America to suppress the thyroid in people with an overactive thyroid (hyperthyroidism). In 2006, the National Research Council found there was substantial evidence that fluoride exposure impacts thyroid health. Newer research from the UK shows that in areas where fluoride levels in the water are higher, the risk of having a high rate of hypothyroidism is 37% greater compared to areas where the water is not fluoridated. This new research, while preliminary, suggests that as many as 15,000 people may be affected by hypothyroidism because of drinking fluoridated water! Here in the U.S., the numbers are likely even higher. Endocrinologists and holistic medical doctors are beginning to suggest that their hypothyroid clients avoid drinking fluoridated water and avoid using fluoride toothpastes. What Can You Do To Protect Your Thyroid Gland? It’s a good idea to do some research to find out whether your water supply is fluoridated. The Fluoride Action Network (http://fluoridealert.org/) is an excellent resource to find out about water fluoridation in your community. Non-fluoridated water, either from bottles or water-filtration systems, may be a better option for people prone to thyroid issues who are living in fluoridated areas. In addition, avoid dental fluoride treatments, and switch to fluoride-free toothpastes. You can support your thyroid gland nutritionally by including plenty of iodine from foods like: organic seaweed, mushrooms, garlic, onions, watercress, and wild seafood or fish from uncontaminated waters. Using a thyroid supporting supplement can also be helpful. Further, choose organic whenever possible to avoid fluoride-containing pesticides leeched onto conventionally grown foods.